Support GB Synchro and Water Polo Athletes! CoPA has synchronised swimmers both past and present striving to represent their country as part of the GB synchronised swimming squad. 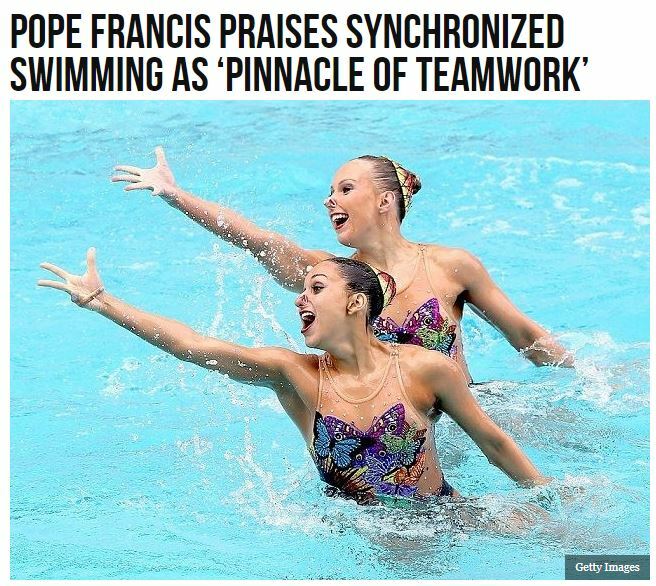 However synchronised swimming and water polo were dealt a severe blow in 2014 when a major source of funding for these Olympic sports was cut entirely by UK Sport, leaving these athletes (or their parents) to fund the vast majority of their training themselves. Please take the time to complete the UK Sport public consultation survey on this topic which is currently under review and help to campaign for a fairer distribution of funding across all Olympic sports and hopefully synchro and water polo may once again be able to benefit from some much needed funding at national/international level. There will be no synchro training on Friday 20th April or Sunday 22nd April due to coaching commitments at the National Championships. Water Polo training is on as normal. CoPA is very proud to announce that Camilla Hadcock has successfully qualified as a level 3 synchro judge. This is the highest level of judging qualification and qualifies Camilla to judge national competitions. Congratulations and great work Camilla! There will be no synchro training on Friday (30th March – Hutton), Sunday (1st April – Leyland) and Monday (2nd April – West View Elite Squad) due to Easter bank holiday pool closures.